For many years, the only dental restoration option for tooth loss were dentures. Fortunately, thanks to the advances in modern dentistry, there are more options to choose from. One of the dental restorations available to replace missing are dental implants. Dental implants offer important advantages over alternative dental restoration options in terms of aesthetics, comfort, function and longevity. However, like many other dental treatments, there are myths surrounding dental implants that have made people shy away from the dental treatment. By exposing the truth behind the myths, you can make a more informed decision about whether dental implants are right for you. Myth #1: Dental implants are noticeable. 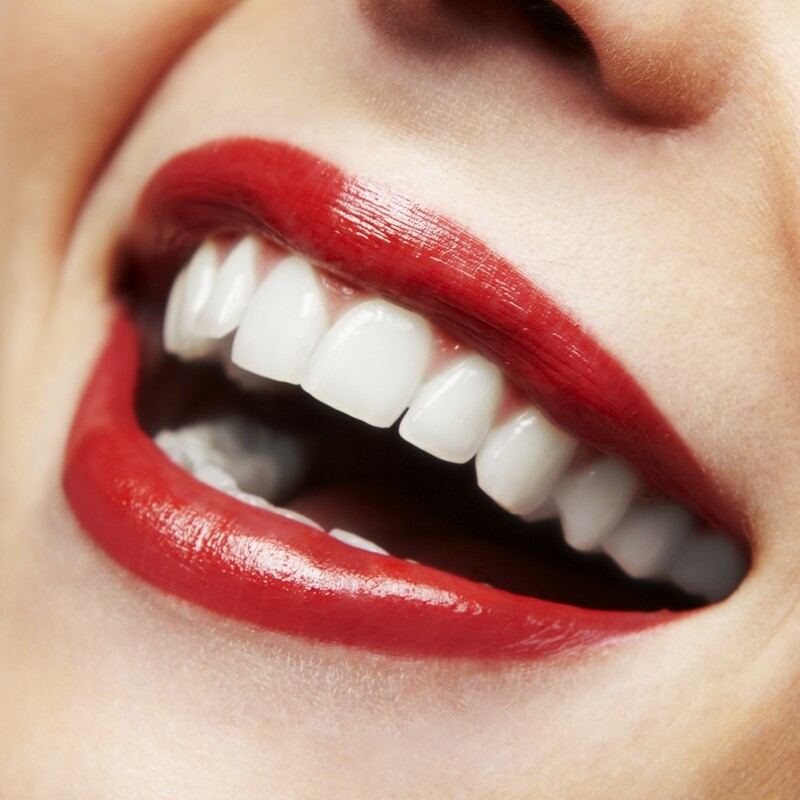 Fact: One of the best things about dental implants is that they blend seamlessly with your existing teeth. In fact, dental implants closely resemble natural teeth. Unless you tell someone you have dental implants, chances are they won’t even notice. Myth #2: Dental implant placement is painful. 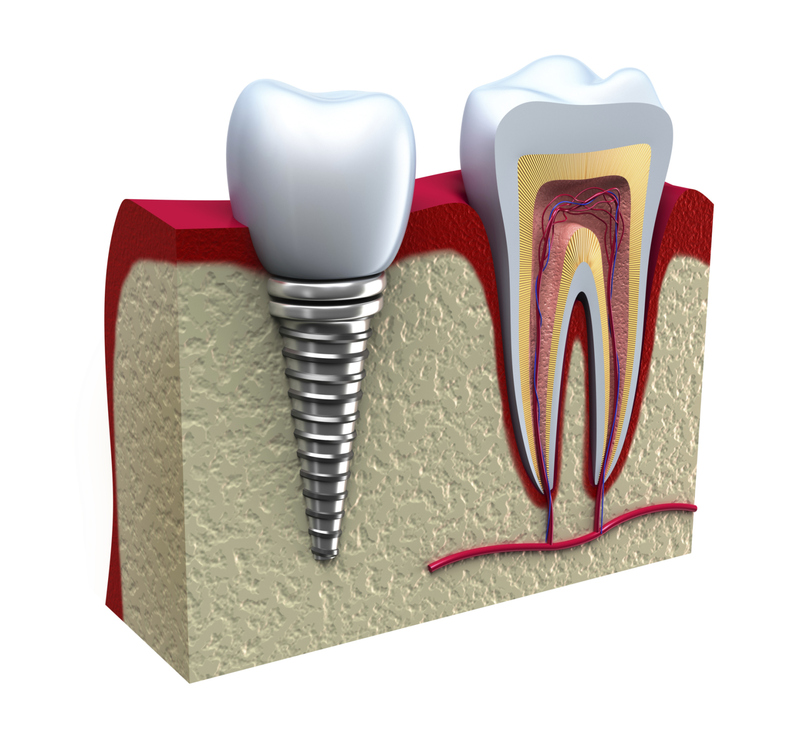 Fact: Dental implants require surgery, so there will be some pain and discomfort. However, most patients that go through with the dental treatment find it no more painful than having a tooth pulled. Also, with the help of nitrous oxide or anesthesia, patients will have the chance to undergo a more comfortable procedure. Myth #3: Everyone can get dental implants. Fact: Not everyone can get dental implants. For patients to be an ideal candidate, they must have strong bone tissue in the mouth in order to secure the implant. 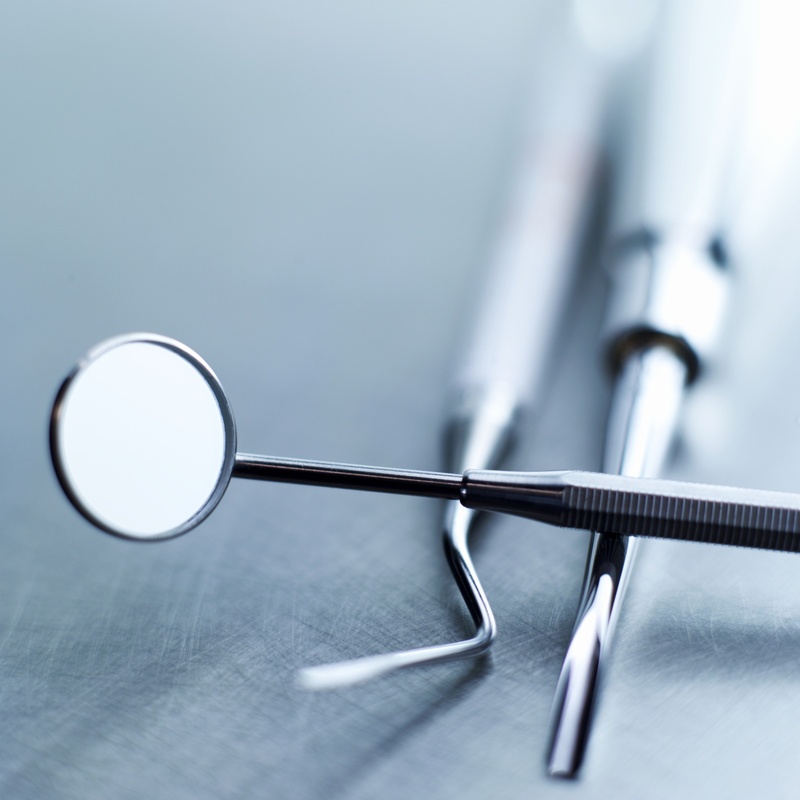 A medical professional or qualified dentist can help determine if you’re an ideal candidate. Myth #4: Dental implants are really expensive. Fact: When considering the cost of dental implant, patients should take the long term expense into consideration as well. For example, dental implants are cheaper than a dental bridge in the long run because they last longer. Bridges only last 5-15 years, while dental implants can last up to 25 years before they need replaced, making dental implants more valuable in the long run. Myth #5: Dental implants require a lot of work. Fact: Several people think they need to spend more time caring for dental implants. However, implants can be treated like natural teeth. You care for your dental implant by brushing and flossing, and you can eat whatever you want and even chew gum. There’s no need to worry about taking any special precautions for implants. 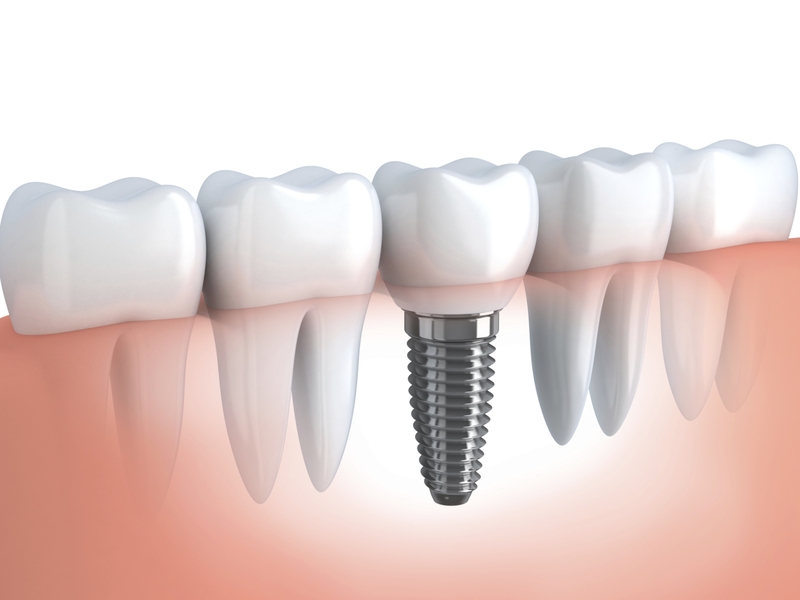 There are several myths out there about dental implants. The best way to obtain accurate information regarding dental implants is to consult with a dental professional. If you are interested in dental implants, contact Dr. Patrick Simone in Henderson, NV at 702-735-2755 or visit at www.patricksimonedds.com for additional information. If you made the wise decision to replacing your missing or damaged teeth with dental implants and have just completed implant treatment, you may be wondering how to care for your new restorations. Don’t bother your dental implant. Immediately after getting your implant surgically placed you need to abstain from bothering it, so don’t think about poking around at it with your tongue. Agitating the implant will only will only prolong the healing process and may even lead to additional problems. Ice the affected area. To some it may be alarming when they realize that certain areas of their face swell, but I assure you swelling is a completely normal occurrence. To help minimize the swelling you can apply an icepack or a frozen bags on your cheek where the swelling has occurred. Apply this method as much as possible for the first 36 hours. Don’t worry if you see blood. Some bleeding or redness in your saliva within the first 24 hours after having your dental implant placed is normal. You can control excessive bleeding by biting down on a gauze pad placed where the implant is for 30 minutes. If that doesn’t stop the excessive bleeding, call your dentist for further help. Modify your diet. Be sure to drink plenty of liquids and stick to eating soft foods for the first few days after getting your implant placed. 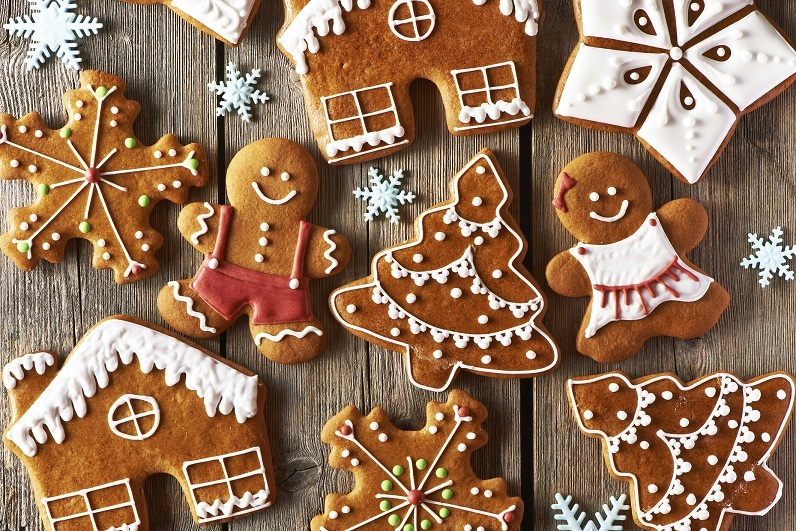 You can gradually work your way back to eating harder food as your implant heals. Though you should be sure to avoid chewing near your implant while eating and avoid swishing liquids around you mouth the first week after the dental implant procedure. Practicing proper oral hygiene is essential. Good oral hygiene is key to healing, making it crucial for you to keep your mouth as clean as possible. Your dentist typically prescribes you a mouthwash to use for the first week or so after the procedure. You should also be brushing with a soft-bristled toothbrush, and when doing so, be sure to gently brush around your implant. Decrease your level of activity. You should keep your level of activity to a minimum immediately following the implant procedure. If you are exercising and your implant begins to throb and bleed, discontinue immediately. Keep in mind that you aren’t consuming a normal amount of nutrients, so that it may weaken and further limit your exercise. It’s typically takes three to six for the dental implant itself to fully fuse with the jawbone and achieve full strength. While it takes another two months for the crown to be custom-made and fitted. Though this time frame can vary with each individual patient. Your dentist can usually give you an accurate ideas of when the entire treatment will be compete. If you’re interested in replacing your missing teeth with dental implants, contact Dr. Patrick Simone, DDS in Henderson, NV at 702-735-2755 to schedule a consultation today. Or visit www.patricksimonedds.com for additional information. 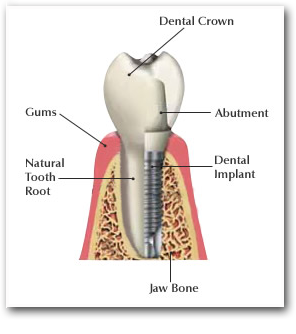 If you plan to have dental implants installed, I’m sure you already know all of the benefits they will provide for you. You’ll have to go through a healing process before you get to utilize those benefits though, and before any of that healing starts to happen you will see and feel a few side effects the first week or two. The most prominent side effects will appear over the first two days, and reach the worst state on the third day. 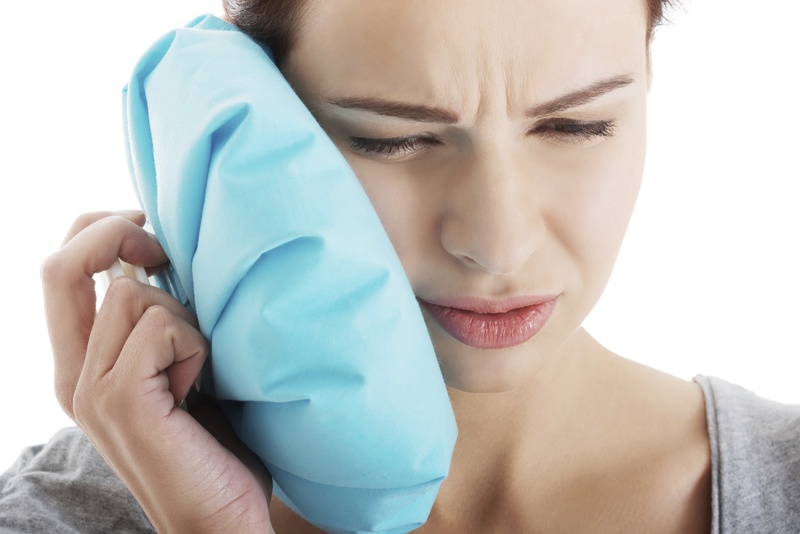 There should be no cause for concern, as these side effects are common after oral surgery. Soreness- You’ll experience some soreness in your jaw and gums since the tissue had to be damaged to accommodate the dental implants. You’ll be able to help the pain with over the counter prescription pain killers, and then eventually switch to less powerful pain killer such as ibuprofen or Tylenol. Swelling- It’s very common for your jaw, gums and cheeks to swell up after dental implant surgery. The swelling will typically last for about a week. You can help reduce the swelling by applying an ice pack to the affected areas for 15 minutes at a time, with 15 minutes breaks in between. Bruising- Bruises may start to appear on your jaw, gums, and neck which is a result of your dental implants being installed. Any discoloration will be more noticeable once swelling does down, but the bruising should start reduce or gone by the end of the first week. After the first or second week, your face should look and feel considerably better, and you should be able to return to your normal daily activities. If any of the side effect do start to worsen, call your dentist immediately. 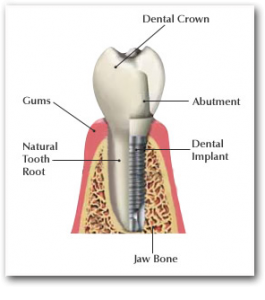 If you are interested in obtaining information about dental implants, contact Dr. Patrick Simone in Henderson, NV at 702-735-2755 or visit our website at www.patricksimonedds.com for more information.